Seventy-four per cent of patients in the UAE don’t believe that type 2 diabetes is associated with increased cardiovascular risk, said the Emirates Diabetes Society in its findings of a Type 2 Diabetes Patient survey. The survey was conducted this year byIpsos, a global market research and a consulting firm, with the support of Boehringer Ingelheim, one of the world’s leading pharmaceutical companies. The survey findings were released along with a launch of a disease awareness Campaign ‘Close To Your Heart’, in an effort to understand the current patient profiles and lifestyles along with their insights and knowledge around the link between Type 2 Diabetes and Cardiovascular Diseases in the UAE. More than 52 per cent of patients with type 2 diabetes die of cardiovascular causes. Therefore, the epidemic of type 2 diabetes will be followed by an epidemic of diabetes-related CVDs. CVDs are also the number one cause of death globally, where more people die annually from CVDs than from any other cause. 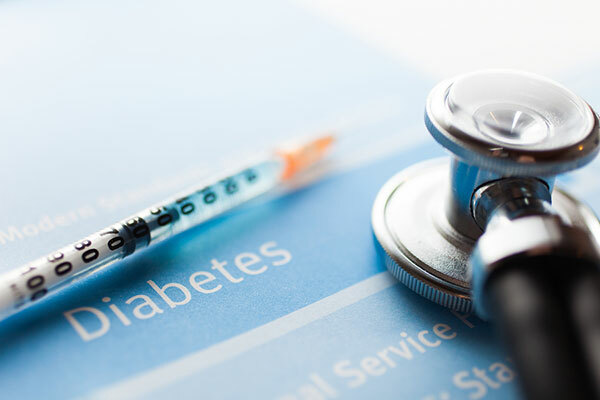 • Half of those surveyed are unaware of high CV Risk- Half the total respondents are reported to be fully aware of the high CV risk associated with type 2 diabetes, despite more than half (57 per cent) having discussed their condition with the treating physician to lower current risk. At the same time only 50 per cent of patients believe they are at high risk of CV events, while 45 per cent don’t associate heart disease to the condition. • Diabetes and Mortality- Only 20 per cent agree that CVD is the number one cause of death for type 2 diabetes patients. Patients do not fully understand the seriousness of CV risk associated with diabetes. 55 per cent do not believe it causes death. When it comes to perceived seriousness of diabetes, patients do not see it as a serious disease. From Cardiovascular diseases Stroke is seen as the serious disease followed by heart attacks and hypertension. Type 2 diabetes is also seen as the least serious disease, when looking at CVDs like stroke, heart attack and heart disease; patients consider them as significantly more serious. • Knowledge gap despite public awareness campaigns- Less than a third of the total respondents believe that they’re knowledgeable about type 2 diabetes. CVDs are yet to be identified as a health issue associated with diabetes. Patients perceive obesity to be more serious than type 2 diabetes confirms that increasing public awareness about a specific disease alters their perception. • Understanding of Diabetes and Associated Diseases- Majority of patients suffer from associated symptoms like obesity and hypertension. Most patients believe that Type 2 diabetes is high levels of blood sugar, followed by lack of Insulin. “When patients have both hypertension and diabetes, which is a common combination, the risk for CVDs doubles. It is important to assess one’s risk profile through regular checkups and have open conversations with their doctors. “Given the importance and relationship between CVD and diabetes, there are new classes for type 2 diabetes treatment that showed significant improvement in cardiovascular death in their cardiovascular outcome trials, these classes are now more preferable for treatment than older classes for type 2 diabetes patients with established cardiovascular disease. Addressing the issue on a national level is key to control the widespread of diabetes in the UAE. It can be brought under control through the joint efforts and close collaboration of all the entities across the healthcare continuum,” added Dr. Al Madani. Mazen Bachir, general manager – Gulf at Boehringer Ingelheim said, “A key survey finding suggests that in the UAE, although type 2 diabetes see that stroke and heart attacks are very serious, they rarely relate them to being a consequence of diabetes. The relationship between diabetes and CV disease is complex; diabetes is a risk factor for CVDs and conditions such as high blood pressure, stroke and heart attacks that are more common in people with diabetes.